At dusk, when the hazy sun sets on the horizon, and the cast of the buildings’ shadows stretch across the roads below, the city is coated in gold. 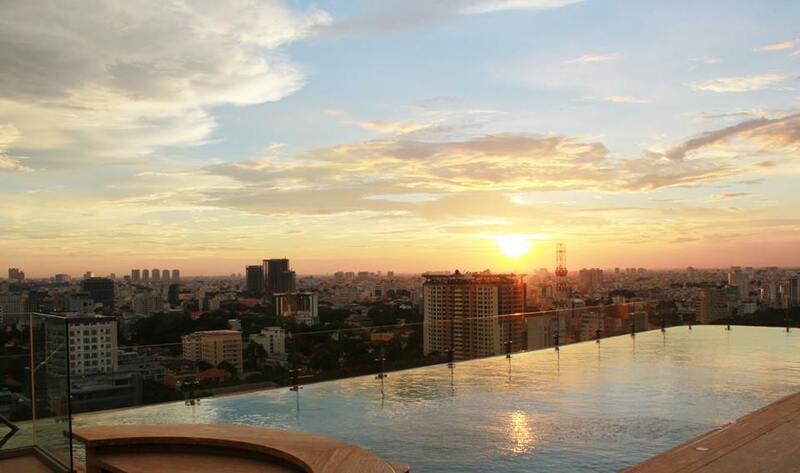 The illuminating sunset is a treasure to see for both Saigon’s visitors and residents alike. 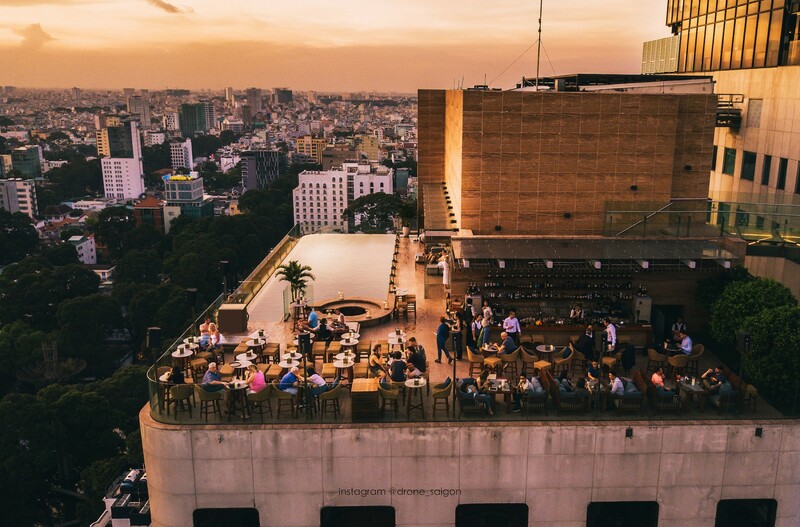 After a long day of walking under Saigon’s blazing sun, dropping by The Social Club on the rooftop of Hôtel des Arts Saigon before dusk is all you need to wind down and disconnect. All the better if you have a refreshing drink in hand! 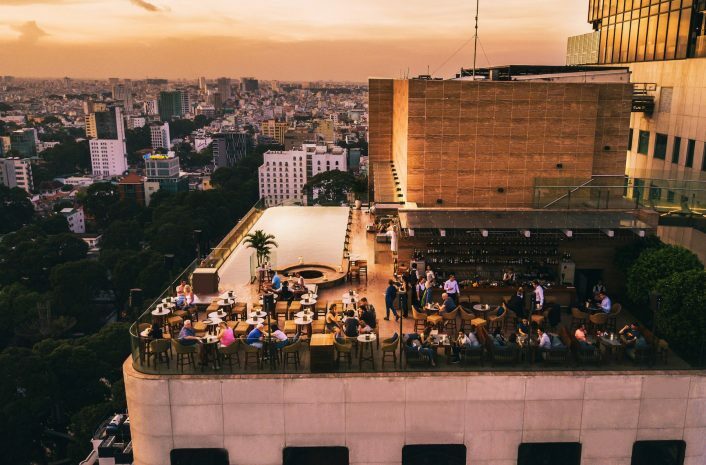 Expats and Vietnamese have long considered The Social Club – on 23rd floor of Hôtel des Arts – as one of the sanctuaries in the final hours of a hot Saigon day. Even a well-traveled visitor will be in awe of the panoramic view of the city during sunset. If you are a guests of the hotel, you can even basking in the sunset glow whilst taking full advantage of the hotels infinity pool with a cocktail in hand. If that mental image isn’t enough to tempt you, sunset and the evening also doubles as The Social Club’s “Happy Hour”. With all drinks at 50% off between 5:00 pm to 8:00 pm every day. Even premium wines and cocktails suddenly become much more appetizing. 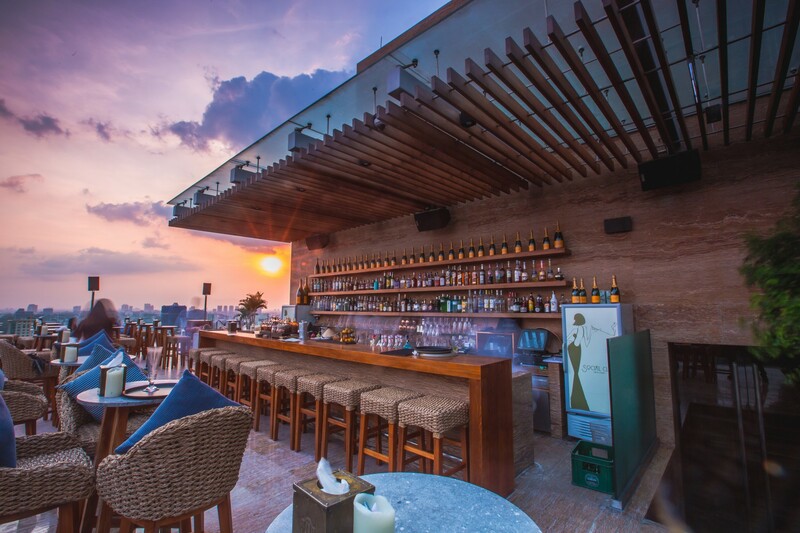 So why not grab a few friends or someone special and watching the world go by, as the sun sets of this bustling urban jungle while sipping your favorite drink. There’s no better time than today!